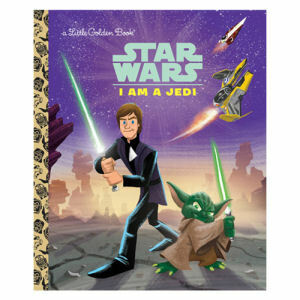 We have Just Sold out of Star Wars I Am a Jedi Little Golden Book. Not to Worry! Fill in the Notify me When Available and you will be the first in line for our restock of Star Wars I Am a Jedi Little Golden Book !! From the Star Wars collection by Penguin Random House. Star Wars I Am a Jedi Little Golden Book. This 24 page book measures 8 inches by 6.5 inches. Penguin Random House Star Wars Books shipping from Canada. No Surprise Border fees or Customs!